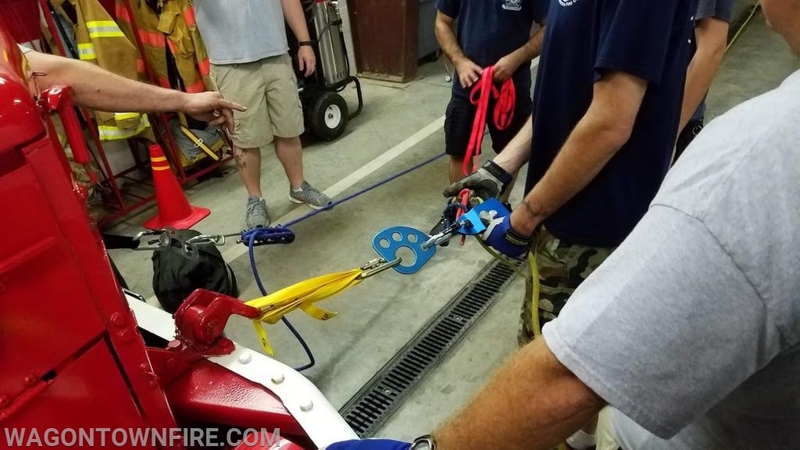 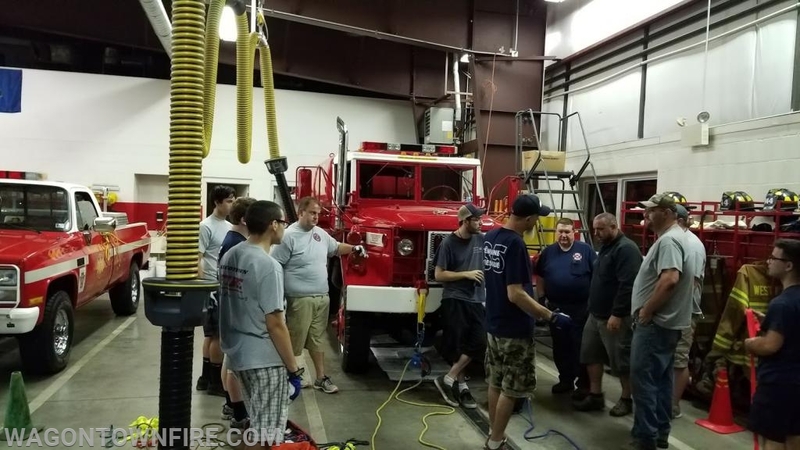 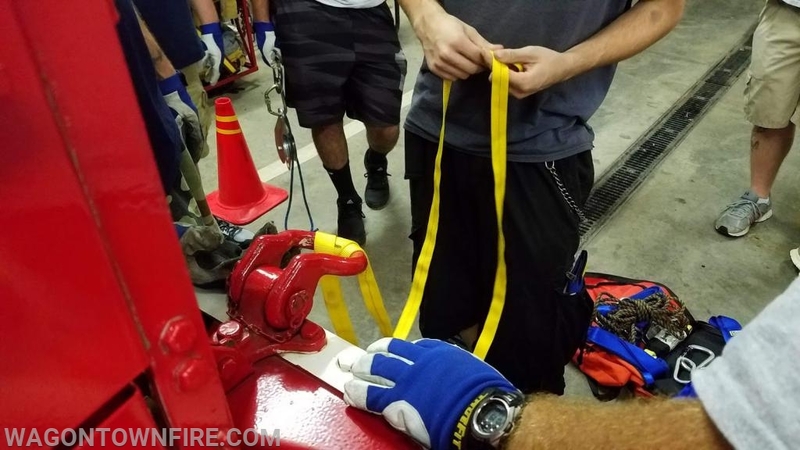 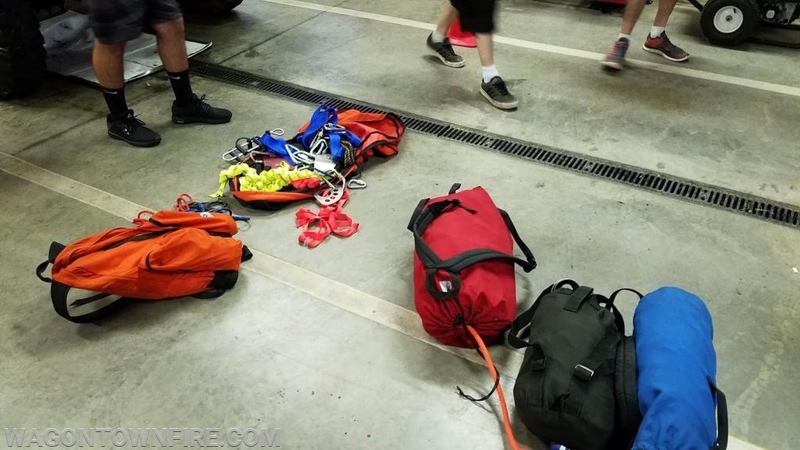 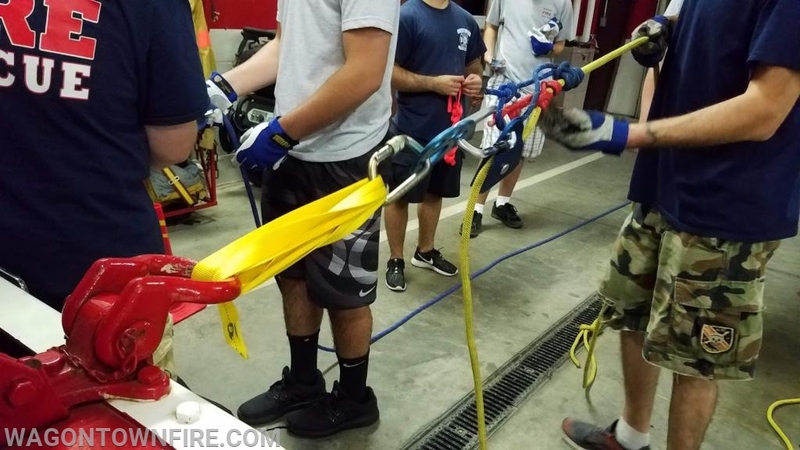 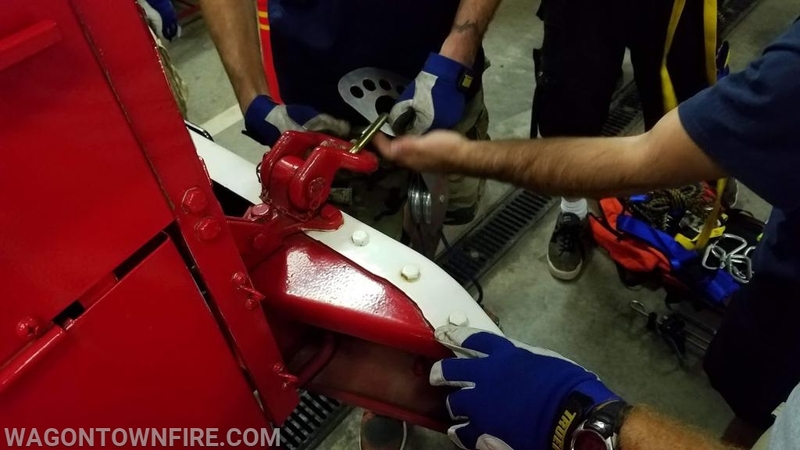 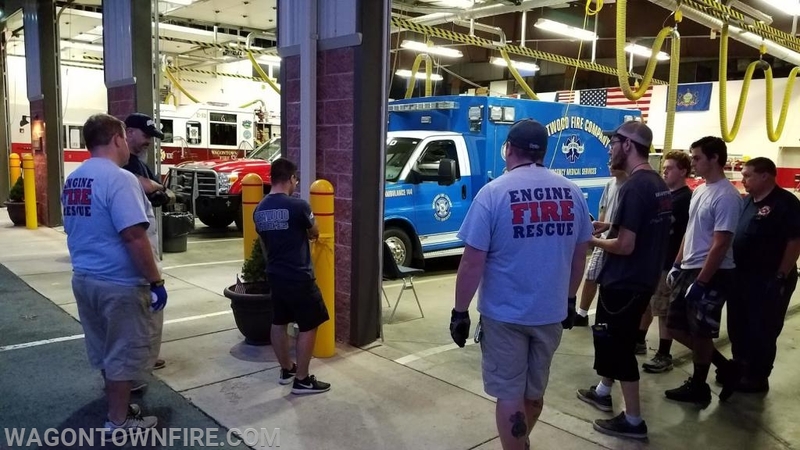 On Wednesday night the company continued with our weekly training, tonight's topic was a review of knots and then reviewing some of our basic rope rescue procedures that are commonly used in below grade rescues in our area. 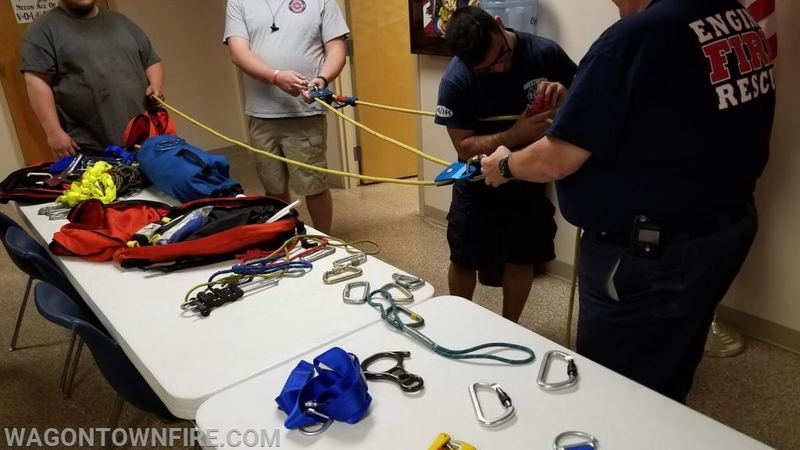 Having a great deal of open space such as Hibernia Park area and other areas around our district it is important for us to keep up on our rope rescue skills. 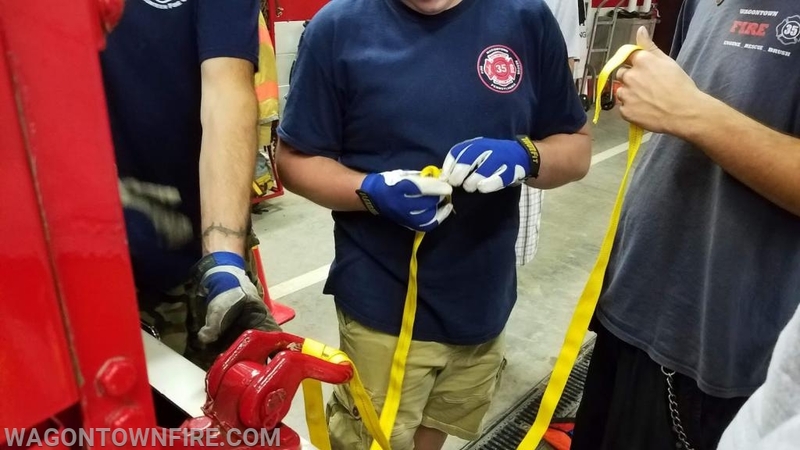 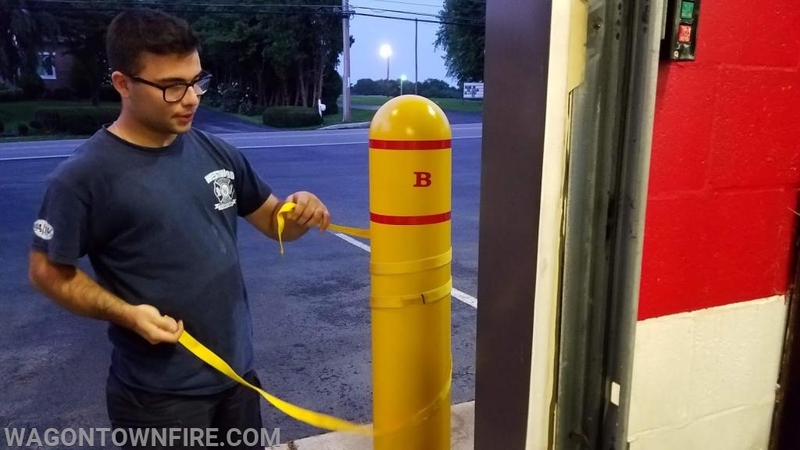 Tonight Firefighter/EMT Phil Lamnin reviewed the basics of ropes and knots and then with the crews set up a number of Z-Rigs and reviewed and practiced the raising and lowering techniques needed for below grade or the hauling of subjects via rope.